In this month’s edition of Hot New Tables: Sensorium Bali, Pala Restaurant & Rooftop Bar, Synkonah, Hyatt Regency Bali, Kinjo Kakigori & more! 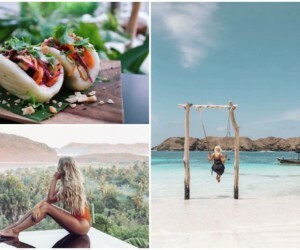 It’s official: it’s now the Year of the Pig, and while we could have been researching the significance of the Chinese Zodiacs, we’ve been celebrating the Lunar New Year the only way we know – by pigging out at Bali’s best new restaurants. 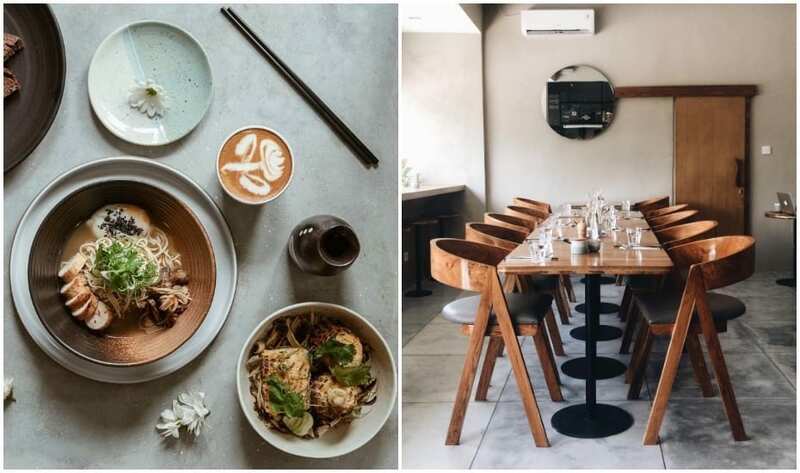 Don’t let the minimalistic interiors of Sensorium Bali fool you, because this Canggu newbie is a multi-sensory restaurant that’s designed to activate, challenge and satisfy all five senses, not just your taste buds. We won’t spoil the full experience for you here, but expect modern Australian cuisine with an Asian twist, with boundary-pushing creations like the Textural of Mushrooms (sautéed & fried wild mushrooms, seaweed paste, fried Gai-Lan & rye bread), a brunch ramen with 62-degree sous vide egg, and the signature Korean-style Bulgogi BBQ Beef Burger, loaded with homemade pickled daikon, spring onion, coriander and charred lime. 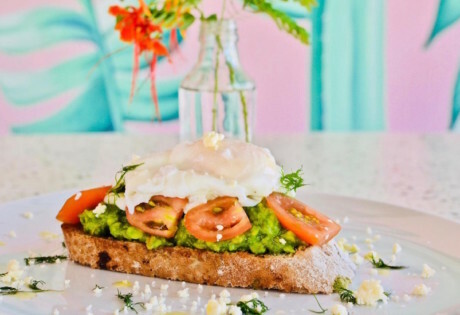 This avante-garde new eatery has officially taken Canggu’s restaurant repertoire up a notch. 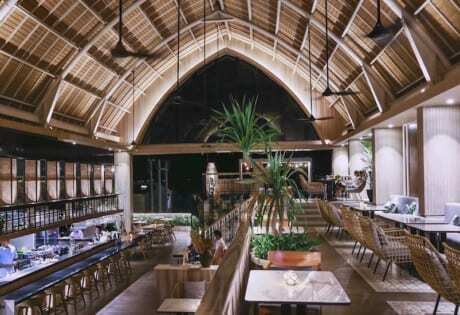 Sensorium Bali, Jl Pantai Batu Bolong No.31a, Canggu, p. +62 361 9070293, e. hello@sensoriumbali.com. Open Mon – Sat 9am – 8pm. 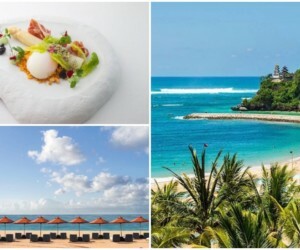 Pala Restaurant & Rooftop Bar at The Apurva Kempinski Bali, Jl Raya Nusa Dua Selatan, Sawangan, Nusa Dua, p. +62 361 209 2288, e. restaurants.bali@kempinski.com. Open daily 6.30am – 10pm. 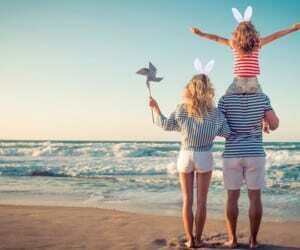 Synkonah, Jl Pantai Berawa No. 99c, Berawa-Canggu, p. +62 8778 1322 881, e. synkonah@gmail.com. Open daily 5pm – late. Omang Omang at Hyatt Regency Bali, Jl Danau Tamblingan 89, Sanur, p. +62 361 281234, e. bali.regency@hyatt.com. Open daily for breakfast, lunch & dinner. 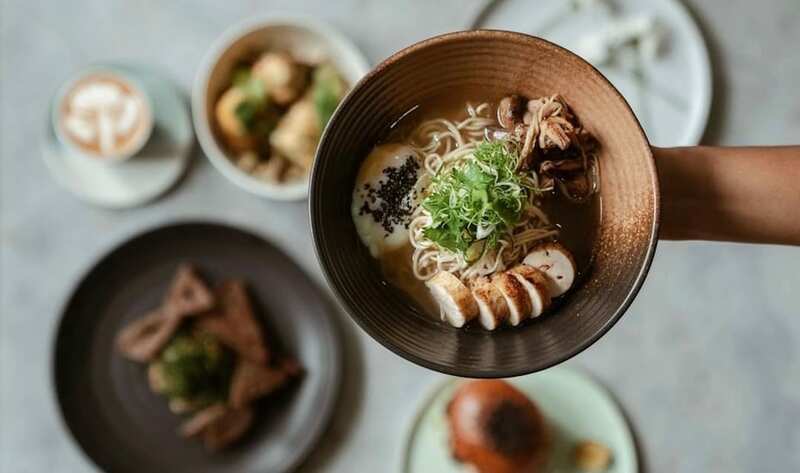 When a traditional Japanese food concept debuts in Bali, you can bet your Yen on the fact that it’s the work of the the unstoppable Kaminari Group – the same peeps who gave us Rayjin Teppanyaki, Dahana and Kajin in Seminyak, and Musubi in Canggu. Well, Kinjo Kakigori is no exception, and this cool container is now the first ever Kakigori (Japanese shaved ice) specialist on the island. Using pure ice blocks and a special ice-shaving machine direct from Japan, the kakigori here has that unique and traditional texture of freshly fallen snow. Add to that the “Omotenashi” style of Japanese hospitality (where guests are wholeheartedly looked after by the trained staff) and the lineup of refreshing drinks, cocktails, and beer, and you might actually feel like you’re in the midst of midsummer Tokyo. Kinjo Kakigori, Jl Petitenget No.8M (at M Boutique Hostel). Open daily 12pm – 8:30pm. 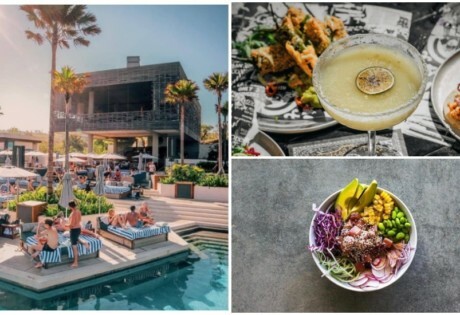 Traditional Mexican nosh, delish vegan options and epic cocktails – Lola (whoever she is) had us at “hola” with her pretty-in-pink Mexican cantina on the infamous Canggu shortcut (be safe out there, folks!). 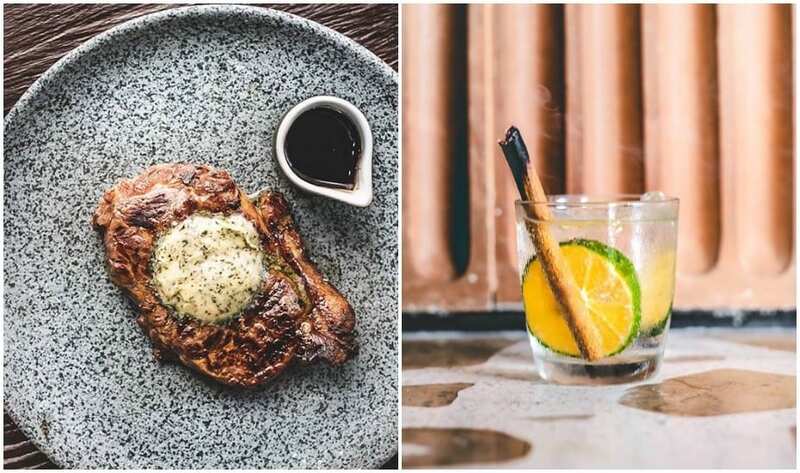 When it comes to a feasting fiesta, Lola ticks all the right boxes. 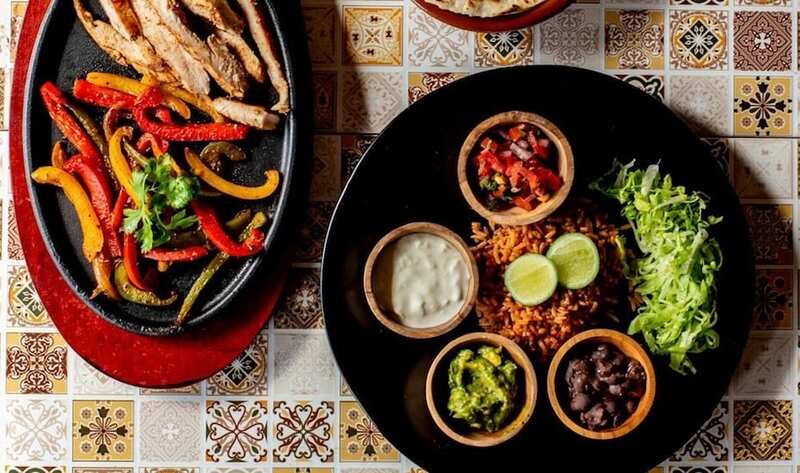 She’s got tacos, she’s got burritos, she makes a mean fajita, and she’s even whipped up vegan-friendly jalapeño poppers, plus plenty of spicy sides and starters made for sharing. And to really get the fiesta in full swing, Lola also slings 50k Margaritas on the daily, plus weekly Taco Tuesdays, just because. Muchas gracias, Lola! Lola’s Cantina Mexicana, Jl Subak Canggu (on the infamous shortcut), Canggu, p. +62 813 3854 2497, e. lolascantinamexicana@gmail.com. Open daily 8am – midnight. 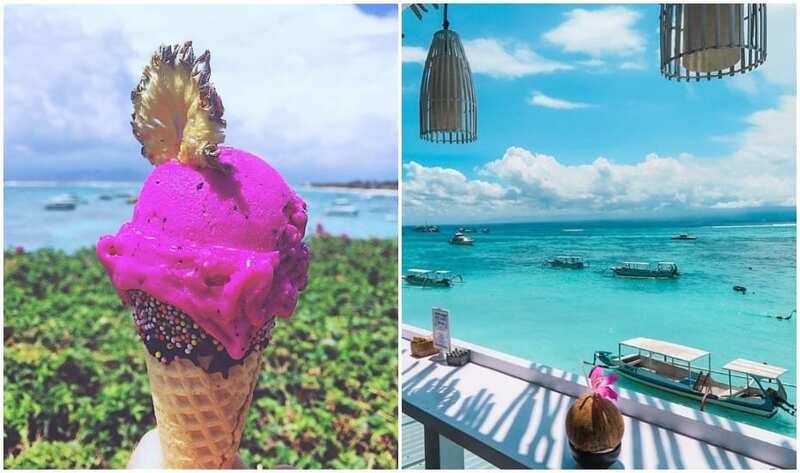 Because life is always better with sprinkles, Parad-ice Parlour on Nusa Lembongan is the island’s first and only beachside gelato stand, situated at everyone’s fave oceanfront hangout, The Deck. 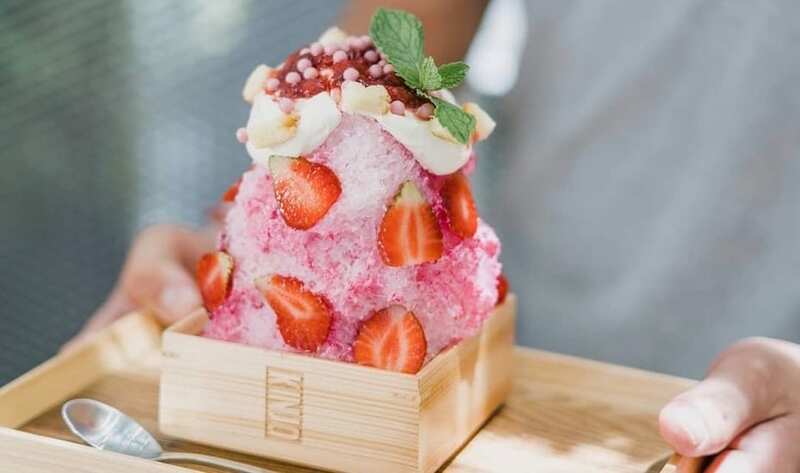 Serving and scooping delicious gelato and frozen yogurt with all the fancy toppings, Para-ice Parlour is Lembongan’s hottest new spot to cool down beneath the balmy Bali sun, overlooking that view, with alllll the sunshine and sprinkles. Parad-ice Parlour at The Deck Lembongan, Batu Karang, Nusa Lembongan, , p. +62 366 5596377, e. info@batukaranglembongan.com. Open daily from 12pm. 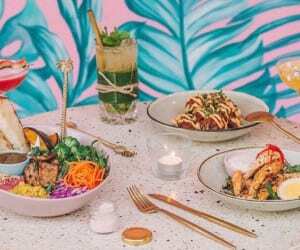 If you’re into curry, spice, and all things nice, you’ll be very pleased to hear that Kuta’s most delicious Indian resto has just opened a second location on Seminyak’s buzzing Petitenget strip. 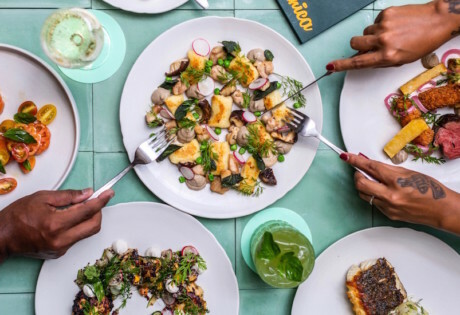 Bringing everything we love from the Spice Mantraa original, this new address is doing what it does best: changing the face of authentic Indian bites by adding a playful and contemporary twist to the country’s signatures. Chicken tikkas, curries, kormas and biryanis all still feature in a big way (and they’re as authentic as you’d hope), they’ve just been refined and tweaked to twenty-first century perfection. 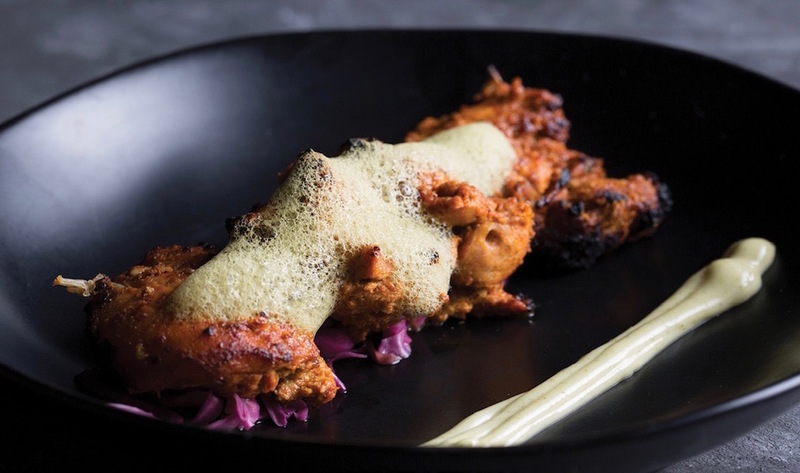 Try the buttered chicken, spiced and stuffed inside a warm, cushiony naan, or the shahi lamb kebabs served slider-style. YUM. 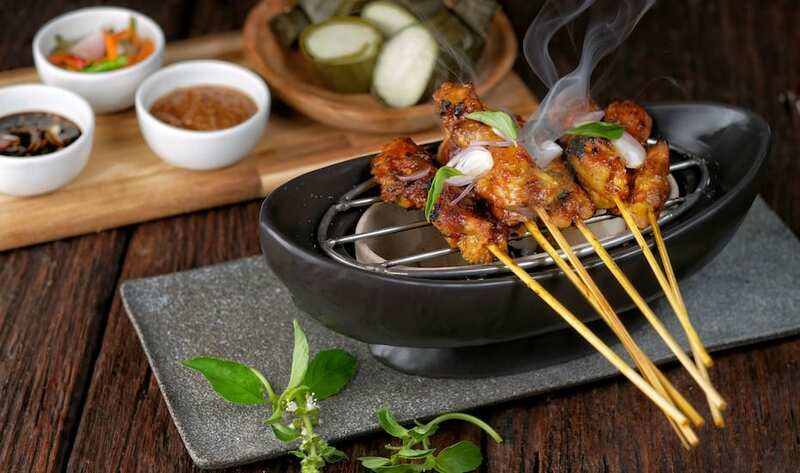 Spice Mantraa, Jl Raya Petitenget No 112B, Seminyak, p. +62 361 9344234, e. reservations@spicemantraa.com. Open daily 12pm – 11.45pm. Yes there’s an Elephant in the Room, and we need to talk about it. How has it taken this long for an awesome, specialty coffee shop to make its way to the busy streets of Kuta? Well, finally it’s arrived, in the form of a quaint and cute coffee shop (with surf-shack-cool vibes) slinging a smooth blend of local Kintamani, Aceh Gayo and Toraja beans. The lattes here are the bee’s knees (available with soy, almond or coconut milk too) and there’s even a selection of cakes and sweets to help the cappuccinos go down. 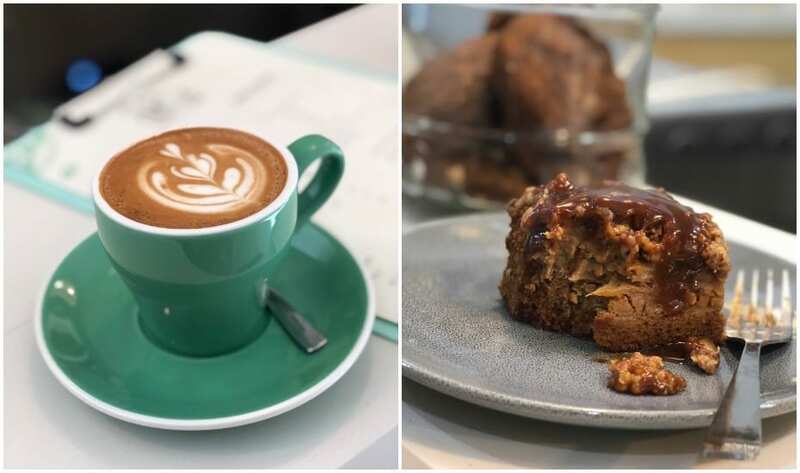 Try the double chocolate brownie (nice and crispy on the outside, but warm and sticky on the inside) or the apple crumble, drizzled with caramel sauce and best served with a double espresso. Elephant in the Room, Jl Kartika Plaza No. 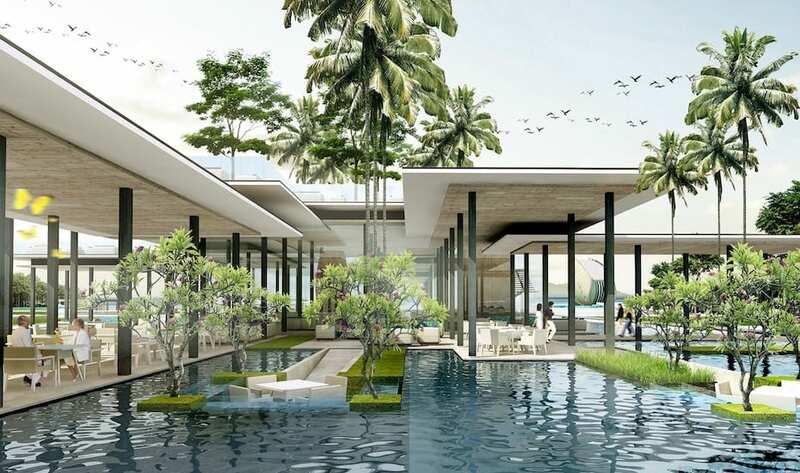 168, Kuta (next to Bali Dynasty Resort). Open daily 8am – 5pm.